by Wiggler Posted 18th Feb 2019 at 7:48 PM - Updated 21st Feb 2019 at 4:54 AM by Wiggler : Added disclaimer about romance bar. Disclaimer: It seems that the romance bar is programmed to show at a specific threshold. If you're doing romantic interactions but see no pink romance bar, don't panic. The points are still being added up, they're just not shown yet. This tuning mod, similar to MeCoinpurse's fantastic Slower Relationship Progression mod, significantly reduces the rate that relationships can go up and down. No longer will you make friends or enemies within mere hours! I'll try to keep it brief so that I don't waste your time. 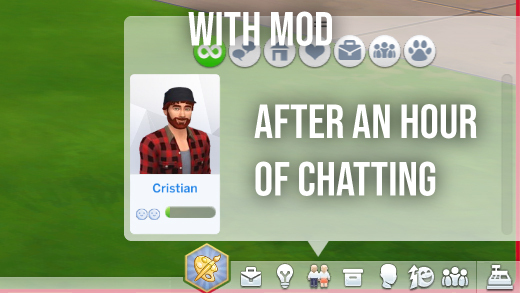 Three of my favorite mods for The Sims 4 are the aforementioned Slower Relationship Progression by MeCoinpurse, Have Some Personality Please! (HSSP) by PolarBearSims, and Emotional Inertia (EI) by roBurky. 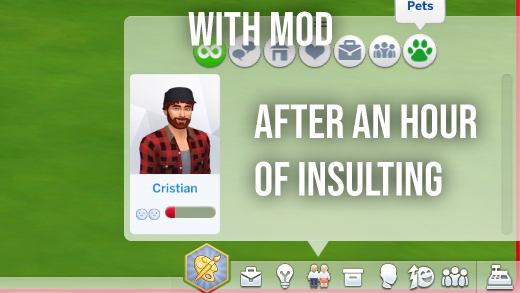 Unfortunately, Slower Relationship Progression doesn't play nice with the two other mods due to the fact that it's one sided (relationship gains are reduced and losses are untouched). I understand why, but with Emotional Inertia and Have Some Personality Please, you can find that a nearly maxed out relationship can be completely destroyed in just a few autonomously mean interactions (from HSSP) due to lingering bad moods (from EI). Plus due to the fact that HSSP removes idle chat, I still felt like the gains were too quick for my liking as sims have more impactful interactions by default. So hence why I'm here. I made this mod so that relationship gains are extremely small and losses are only mildly stronger than the gains. Realistically speaking, people who are good friends can fight and argue about things but still end up relatively unaffected. It doesn't make since to spend weeks becoming friends with somebody only to declare them your mortal enemy over a few arguments and possibly a fight. I've also made romance (gains and losses) values more impactful than friendship values. As I'm sure many of us have experienced in real life, relationships can form and die faster than friendships. That said, the values aren't that much bigger for the sake of game balance, but I figured it's worth mentioning. In addition to that, I've more or less evened out the curve. By default, small interactions will have a very small effect at a high relationship level and have a bigger impact at a low one. I'm not a fan of this, so now any positive interaction will be slightly stronger if your relationship is in the red and otherwise the values are consistent across the board. Brightening someone's day at a relationship of 0 will yield the same effect as at 100. First of all I would highly highly recommend using MC Command Center to change how relationship culling works. It's entirely possible that with such lower relationship values over time, the default relationship culling will remove your relationships. I'm not an experienced modder. This is my first mod and there's a chance I've somehow made a mistake somewhere, however I didn't come across anything while testing. 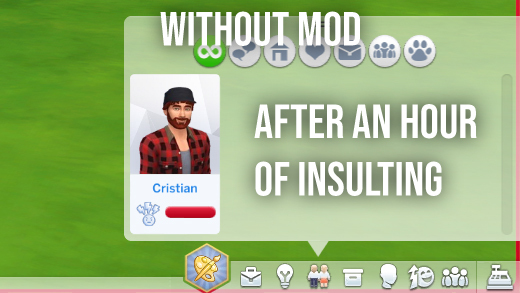 If you see strange behavior that's fixed by removing this mod, please post it in a comment so I can look at it. Also, the values I'm using are very low. 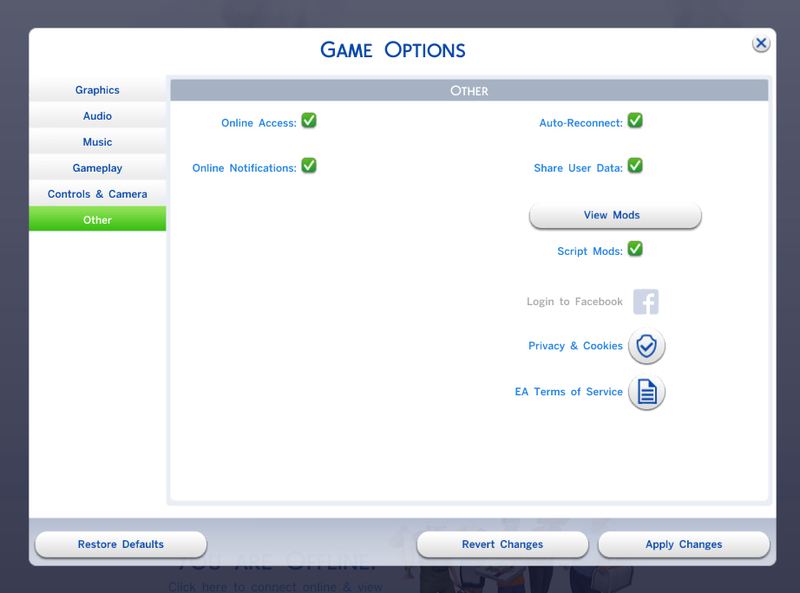 If you play with a short or possibly even normal sim-lifespan, you may not have much time to make lasting relationships. I play with a long lifespan (and with the timescale slower so the days are a little longer). I picked these numbers based off that, so if you don't play with a long lifespan, your mileage may vary. Some clarification before I list the changed values: the vanilla way of changing relationship points is due to what specific threshold the relationship is currently in. For example (using made-up numbers) an interaction could give you 1 point at a relationship of 20, 0.5 points at a relationship of 80, and 5 points at a relationship of -80-- with varying numbers in between. I have simplified this so that all positive threshold numbers (from 0 to 100) are the same and all negative threshold numbers (from 0 to -100) are equal. Relationship losses do not scale whatsoever-- the values are the same across the spectrum. Also there are typically between 2-5 files for each changed value (rel_Gain_Small, rel_Gain_Small_TargetSim, Rel_Gain_Small_Target for example), but they all read the same values (before and after) as the main file (Rel_Gain_Small) so I will omit them here. These are some pretty drastic cuts but I assure you they feel very natural. I'll list the various numbers the old file used in this order for the relationship thresholds: (-100 to -40, -40 to 0, 0 to 20, 20 to 40, 40 to 80, 80 to 100) and for my numbers: (negative, positive). I've only tested with all the expansions, but this should work with just the base game. If it doesn't please let me know. Any mod that changes the following files is incompatible (including Slower Relationship Progression, of course). Thanks to MeCoinpurse for the original mod. I picked it apart to understand what I'm doing. Only download one zip file! All-in-One: Has everything in one file. Separated: Has everything separated into different files to mix and match what you want. Wiggler_LongTermRelationshipBuilding-All_in_One.zip | Description: v1.01 - Added Rel_Loss_Massive and fixed an incorrect value. Wiggler_LongTermRelationshipBuilding-Separated.zip | Description: v1.01 - Added Rel_Loss_Massive and fixed an incorrect value.